Former Colorado GOP chairman Steve Curtis. Steve Curtis, the former chairman for the Colorado Republican Party, was found guilty Thursday by a Weld County jury of voter fraud and forgery. 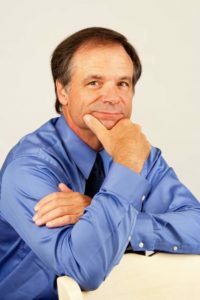 Ex-Colorado GOP chairman Steve Curtis’ defense that health problems somehow compelled him to forge his wife’s name on her ballot didn’t fly with the jury, and now Mr. Curtis gets to spend the rest of his days reflecting on the irony of being convicted of a crime he claimed only those rascally Democrats ever commit! In truth, as we’ve consistently found to be the case in our years covering Colorado politics, is that Republicans tend to do approximately 100% of the hand-wringing about voter fraud and the commission thereof. And with that, one of the storylines in what we’ve come to call Colorado GOP Crime Week–which started as a joke, then really became a thing–has gotten to the final chapter. Stay tuned to see how the Pueblo GOP treasurer wanted for theft on the lam in El Salvador and the developing case of Rep. Lori Saine‘s loaded pistol at the airport get resolved. Never a dull moment, folks. “I seem to remember now, there was this one Republican once, who may have committed voter fraud? . . . In an unrelated story, SOS Wayne Williams announces incontrovertible proof of massive voter fraud in Colorado elections . . . Yesterday, Fluffy told us that this could have been avoided if we had a voter ID requirement for mail-in ballots but that Democrats block it. So as Curtis was completing the ex-wife's absentee ballot at his kitchen, he would have been obligated to take out his driver's license and show it to himself before he sealed the envelope. well- the way to avoid this is not be a fraud. But Republicans insist. I'll try and remember the "confused diabetic state" defense if I ever decide to commit forgery. Your Honor, I plead not guilty by . . . er, by reason of something really good . . .
As a 45 year survivor of diabetes, i assure you it is no joke. But the prosecutor is right, you don't do meticulous planning if your blood glucose is 45. Also Type 2 and from a family with a long history of it. That's why I figured I'd keep it on hand. I couldn't forge my wife's scrawl if my life depended on it. Where is http://www.scottgessler.com when we really need his wisdom? Making bank as an attorney advising clients on how to get around deal with government and political law. Moldy, tell us again about how we quiver in fear over some of your least competent gubernatorial candidates over the last several election cycles? Couldn't happen to a better jackass.